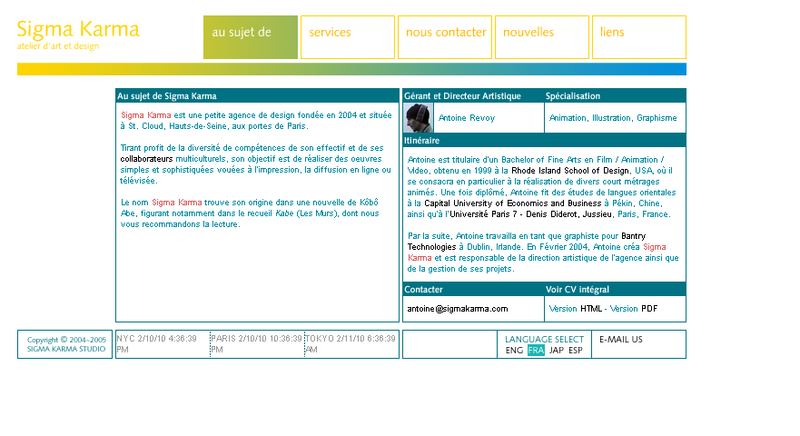 Multilingual website of Sigma Karma™ Studio, a small design agency founded and directed by Antoine Revoy from 2004 to 2006. 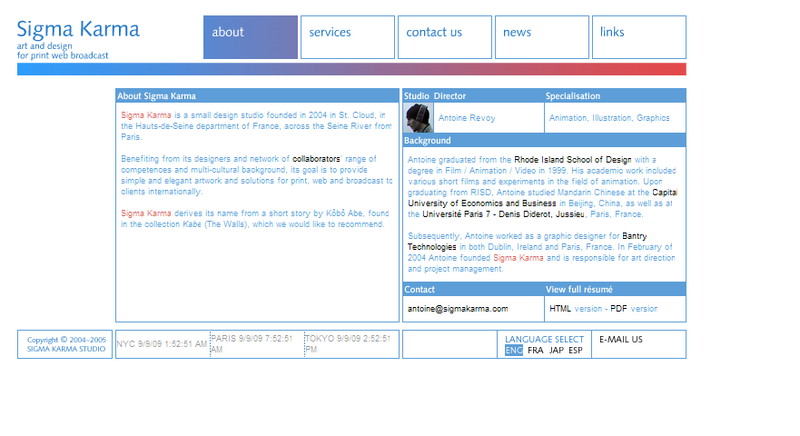 The site was managed in 4 languages (japanese, english, french and spanish), in keeping with Antoine's multilingualism and international activity. 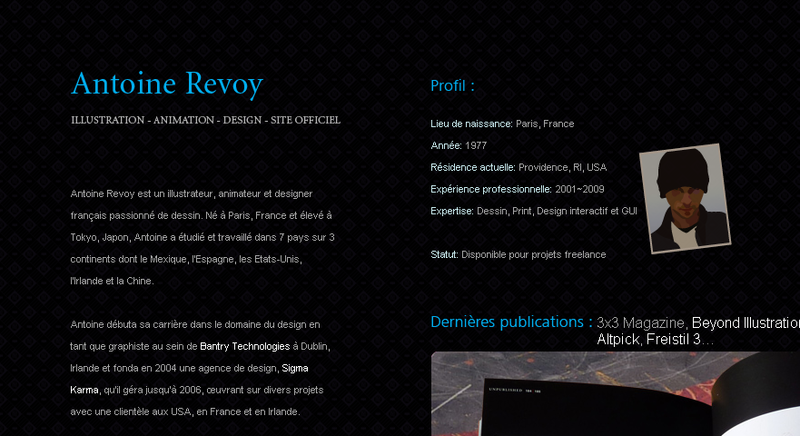 This care can be seen across the line of Antoine Revoy's websites. 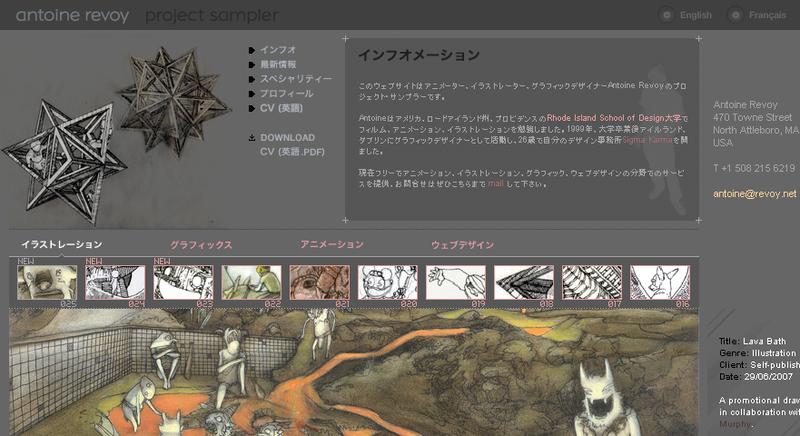 Here, the english version of Antoine's previous project sampler. French version of Antoine's home page. Japanese version of Antoine's home page.